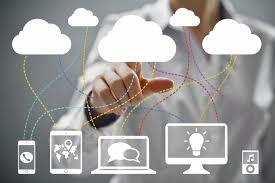 With the evolution of the Internet and the Cloud the risk of data theft or loss is very real. Conducting an Audit of your infrastructure helps close the gaps. Tier One was founded at the turn of the millennium to assist organisations to select and implement Information & Communication Technology strategies and solutions in an increasingly connected and global marketplace. Over the years we’ve helped hundreds of organisations, both big and small, to align. integrate and connect their processes and technology platforms initially to the Internet and, with the evolution of the infrastructure virtualisation, migrate to the Cloud. After 20 years, we’re still passionate about what we do and we’re keen to help our customers continue evolving. We’re also experienced at helping select and implement best of breed solutions in an ever changing digital and technology landscape. How can we help you? Tier One values relationships and seeks to engage locally, nationally, and globally with partners, customers, and the community. Headquartered in Albury-Wodonga and with resources available in all capital cities and most major regional centres, we’re only a stones throw from helping you define and achieve your ICT & Cloud Service goals. Contact us on 1300 663 019 to discuss how we can help you or follow the link below to contact us in writing. The world of digital technology continues to evolve at breakneck speed with new ideas, opportunities and risks arise every day. The Cloud, Big Data, Artificial Intelligence, and the Internet of Things (IoT) all driving commercial and social change. 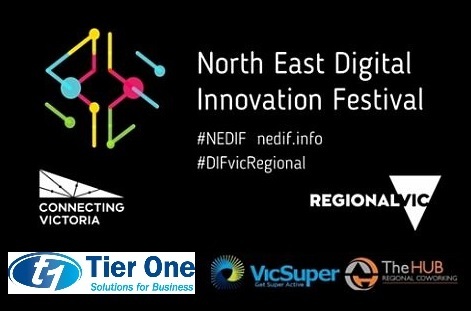 Through events like the North East Digital Innovation Festival we are seeking to help individuals and businesses in our community take on those innovation opportunities. At Tier One, we’re motivated by helping others achieve their goals. Unfortunately many people around the globe don’t have the most basic of necessities like clean water, food or basic shelter much less the opportunity or education to be considering establishing personal goals. Since 2013 Tier One has been a sponsor of the Buy 1 Give 1 initiative which assists to deliver funding to charitable and other not for profit causes around the globe. Thanks to the support of our customers in July 2017 we upgraded our sponsorship comment that of Lifetime sponsor.